Student work from the 2016 Scientific Illustration Unit. Photo by Andrea Curtis. 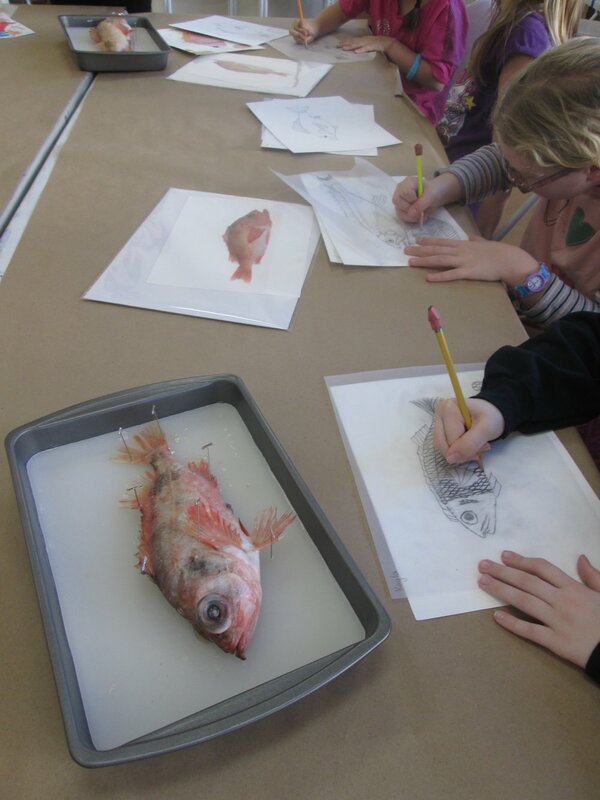 With the generous and continued support of foundations, grants, and individuals, the Farnsworth Art Museum is able to provide free arts-integrated multi-visit programing to Maine schools, focusing in the Mid-coast regions. These in-depth partnerships connect arts-learning in the galleries to in-school curricular goals. Together, museum educators and classroom teachers build lessons to enrich student learning through the arts. Prior to registering, please review the program requirements and note that space in the multi-visit programs are limited. Letter of Interest and Registration Form: Participating educators must submit a letter of interest and registration form and verify administrator support. Class Roster and Nametags: Prior to your first museum visit, educators must submit a student roster. Please also create nametags for your students so that we may get to know them in the galleries. Permission Forms: For your first museum visit, educators must submit signed program permission forms for their students. Please identify any students who do not have photo permission to staff. Transportation Requests: Educators must complete a transportation request form if you are seeking transportation assistance. A final invoice from your school or bus company is required to receive reimbursement. Educator Observations: Please document student growth by completing the educator observation form. Note significant observations in student learning, including shifts in vocabulary, descriptive language, problem-solving skills and/or writing achievements throughout the program. Arts-integrated Lesson Plan: Educators must submit an arts-integrated lesson plan connecting to curricular standards. Evaluation: Educators must submit a final program evaluation form. What programs would you like to see? Let us know what topics and curricular subject areas you are interested in! To submit a letter of interest for this program, please click here. Inspired by Ai Weiwei’s Circle of Animal/Zodiac Heads: Gold exhibition at the Farnsworth Art Museum, students will consider the connection between art and advocacy. Gallery experiences will highlight the historical context of this work and introduce contemporary conversation stimulated by Ai Weiwei’s work. Students will consider their local community and beyond as they develop their own art advocacy installation. Scientific Illustration by Karen Talbot. Fall 2018: Birds, Bees, and Butterflies - Oh My! 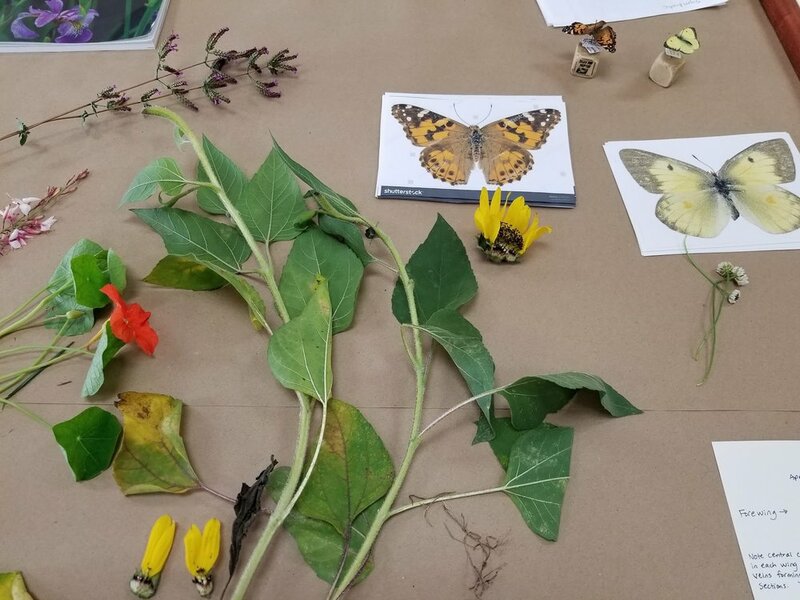 Study pollinators found in your school gardens with scientific illustrator, Karen Talbot and museum educator, Andrea Curtis. Practicing careful noticing in the galleries, participants will fine tune their observations through drawing activities and consider the environmental contributions of local pollinators. In the studio, students will practice the process of reflection and critique in their watercolor studies and make connections in the classroom as they research the anatomy, habitats, and environmental impacts of local pollinators. The Old German Meeting House in Waldoboro, Maine. Photo by Andrea Curtis. Students will explore creative writing in the galleries with a focus on character development, vantage point, and setting as we study Maidenhair, 1974 by artist Andrew Wyeth. With museum educators, students will gather visual evidence from the work of art to collaboratively develop their central character. Inspired by visual storytelling and an exploration of place, students will create their own stories, considering what happens next! This unit includes an expeditionary field trip to the Old German Meeting House in Waldoboro, Maine, the setting of Wyeth’s Maidenhair, 1974. 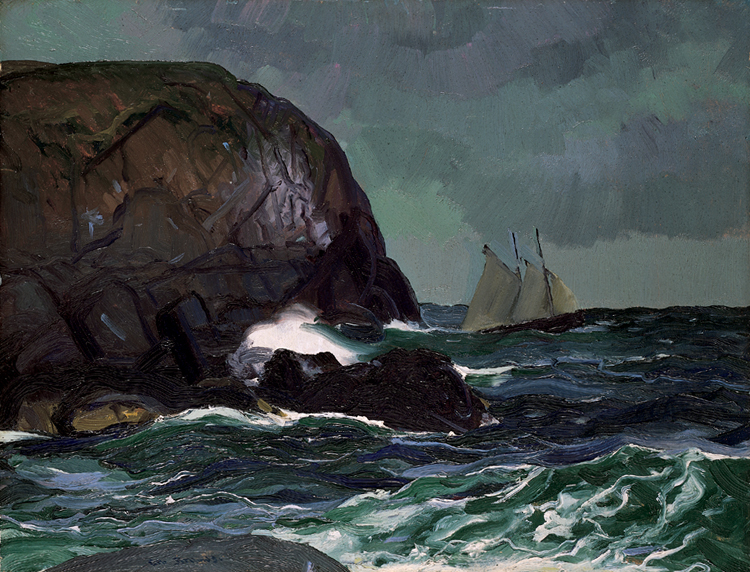 In partnership with the Jean Lawrence at the Waldoboro Historical Society, students will learn the history behind this work of art, explore what was left out of Wyeth’s composition, and consider how this new information may change their story. In addition, museum educators will share Wyeth’s Maidenhair studies to highlight Wyeth’s choices in creating his final work. 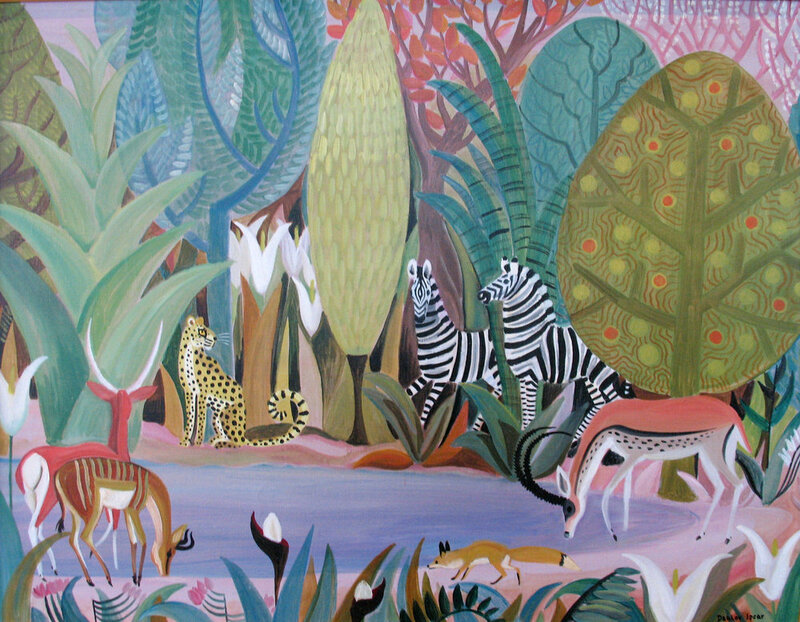 Inspired by the works of Maine artists Dahlov Ipcar and Marguerite Zorach, explore colors, shapes, patterns, and textures in picturesque representations of animals and plants in the Farnsworth’s “Marguerite Zorach – An Art-Filled Life” exhibition. How can we use color and shapes to tell a story? Joined by artist and scientific illustrator, Karen Talbot, we will practice techniques of blending, mixing, and shading in the studio as we try our hand at representing the Maine Chickadee using bold shapes, textures, patterns, and color. Partnering with artist and naturalist, Tim Christensen, we will deeply notice New England landscapes in the Farnsworth’s collection of American art. Through an examination of land formations and environmental details, participants will uncover ecological clues embedded in 18th and 19th century landscapes. We will consider symbiotic relationships found in nature and select our own natural objects to study in the studio. Practicing the technique of sgraffito, we will consider positive and negative space and texture as we classify and etch representations of our natural subjects into clay. In this Creative Writing unit students utilize the Farnsworth collection to explore elements of writing such as character development, setting, and plot. Gallery noticing activities, collaborative story-telling exercises, and descriptive writing prompts encourage students to create magical stories that connect to classic works of American art. 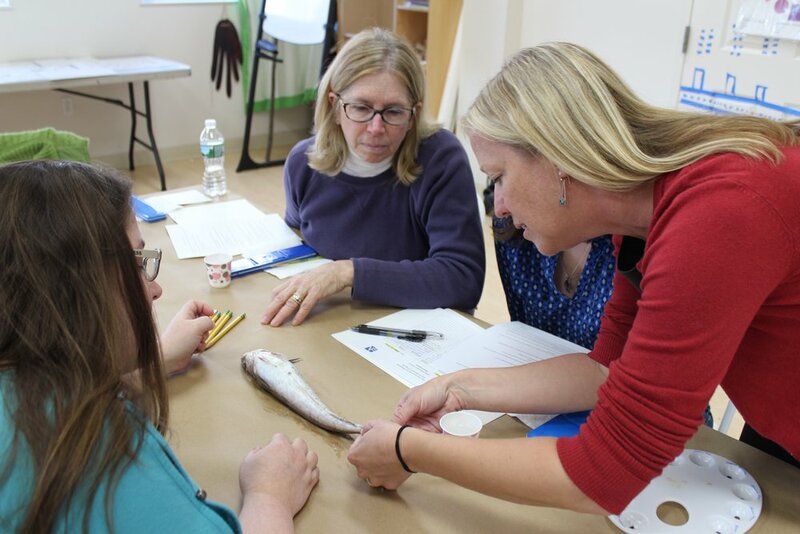 The Scientific Illustration unit will explore a deeper understanding of the natural world through careful noticing strategies, in-school research, and art-making activities. 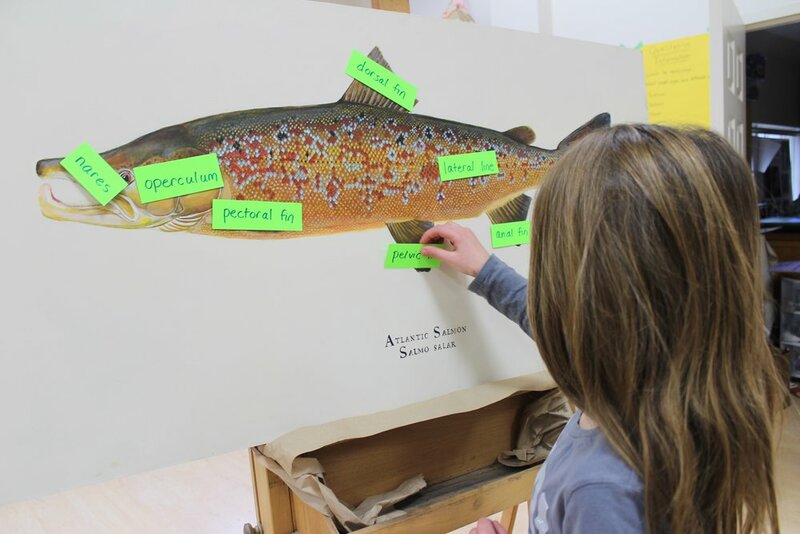 Students will investigate works of art and sharpen their drawing skills in the Farnsworth galleries, transferring these skills back to the classroom as they investigate their local eco-systems.